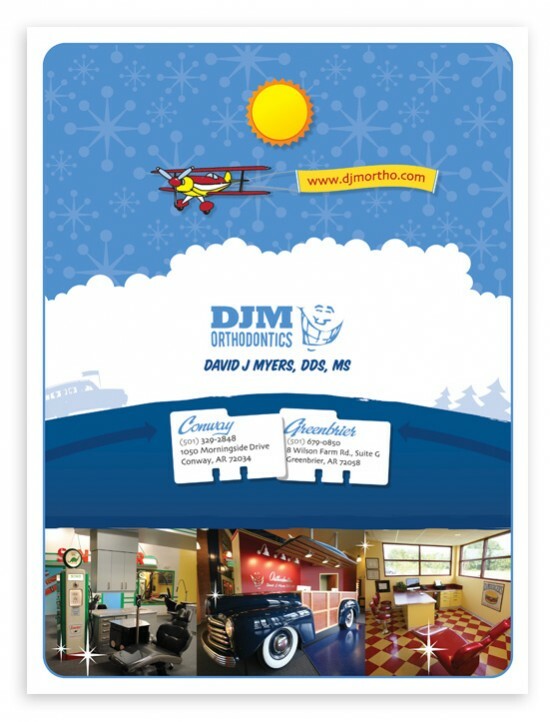 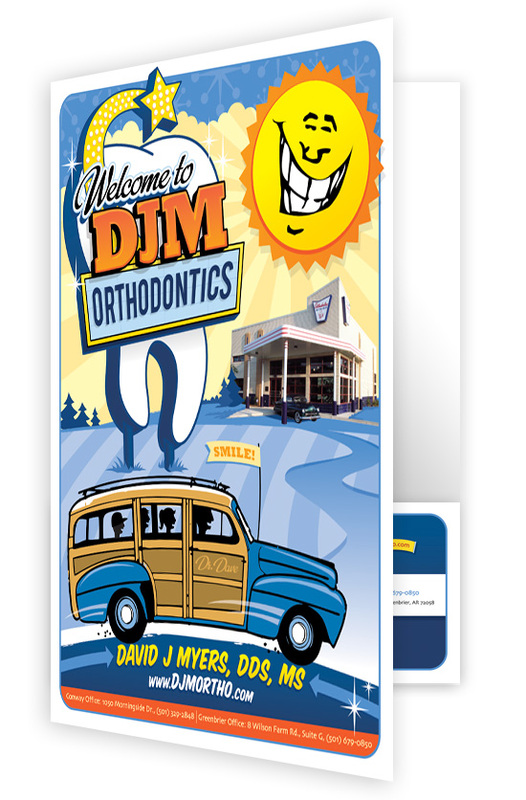 Pocket folder for patients of David J. Myers Orthodontics. This 9×12 folder holds all the necessary documents and information for DJM’s patients. 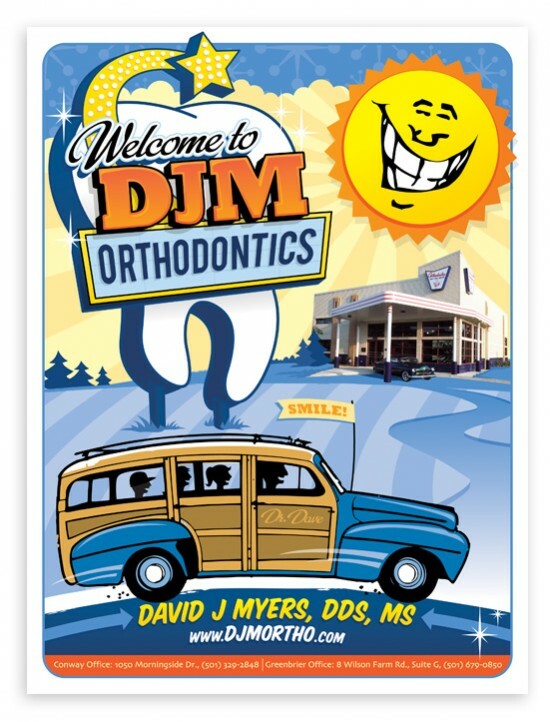 At DJM Orthodontics’ office, you’ll find classic car desks, vintage signs and other unique Americana used as its decor. This folder’s illustration plays off that theme, helping put a smile on each patient. 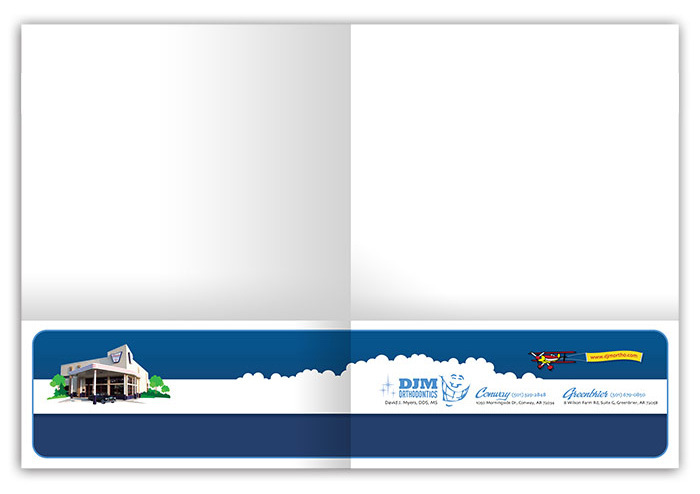 Sure beats the clinical norm of hum-drum forms!